The worst kind of childhood injuries and fatalities are the preventable ones. According to the National Safe Kids Campaign, more than4,700 children ages 14 and under will require treatment each year for window fall-related injuries. Toddlers love to climb and explore. It’s in their nature. 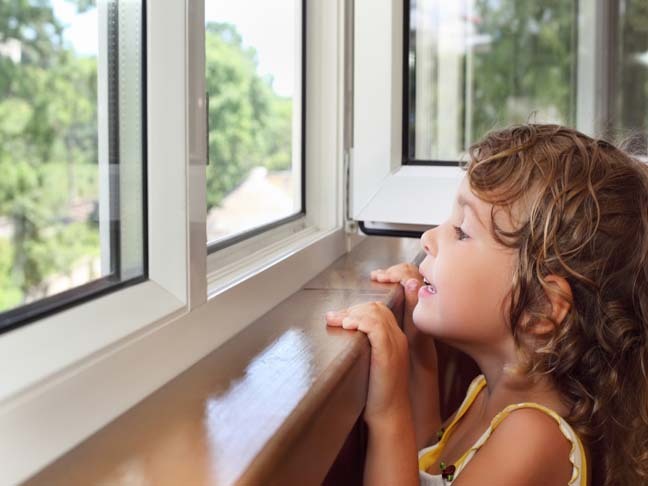 Since curiosity can override their impulse control, even toddlers who may be aware of the dangers of open windows are still likely to investigate them. While there is no replacement for parental supervision, there are steps you can take to prevent window falls. Install window guards to prevent children from falling out of them. For windows above the first floor, window guards should have an emergency release device in case there is a fire. Keep windows locked and closed when they are not in use. Install window stops that only allow the window to be opened no more than 4 inches. Keep all furniture away from windows to discourage your toddler from climbing. Do not rely on window screens to prevent falls. Children could push them out and fall. If possible, opt for double hung windows and open windows them from the top, instead of the bottom. Teach your toddler never to play near open windows. Children can’t fly. Don’t encourage them to. While the safest way to prevent children from window falls is keeping them locked and closed, if you have toddlers in your home and you do opt to open your windows, be sure to take precautions.